The Thena Eternity band is wrapped in pave set diamonds with beaded detailing to enhance the intricate beauty of the stones. Shown in Platinum, Set with 32 1.32mm Round Brilliant Diamonds. Total diamond weight 0.32 carats, D-G Colour, VS2-SI1 Clarity. 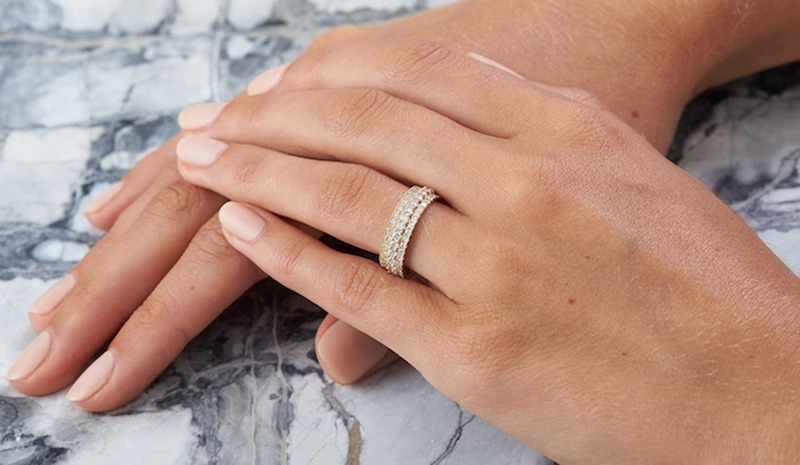 The Thena Eternity Band fits perfectly with the Raya Engagement Ring or stacked with another eternity ring. The eternity band unites elegance with harmonious design, capturing the essence of eternal love.